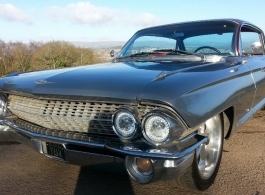 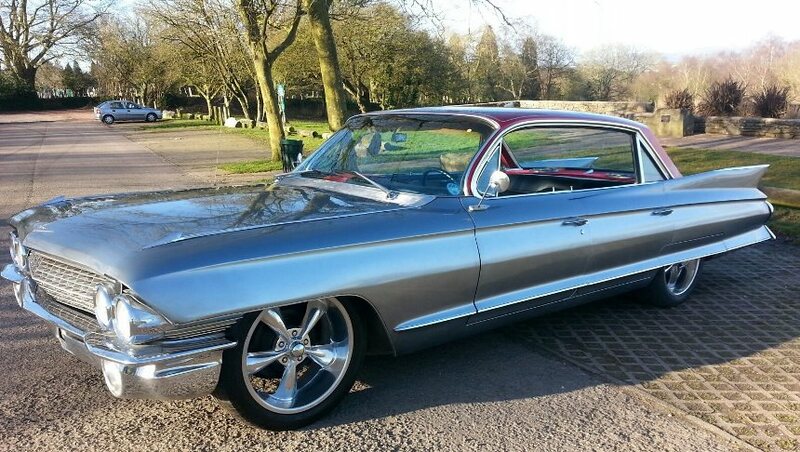 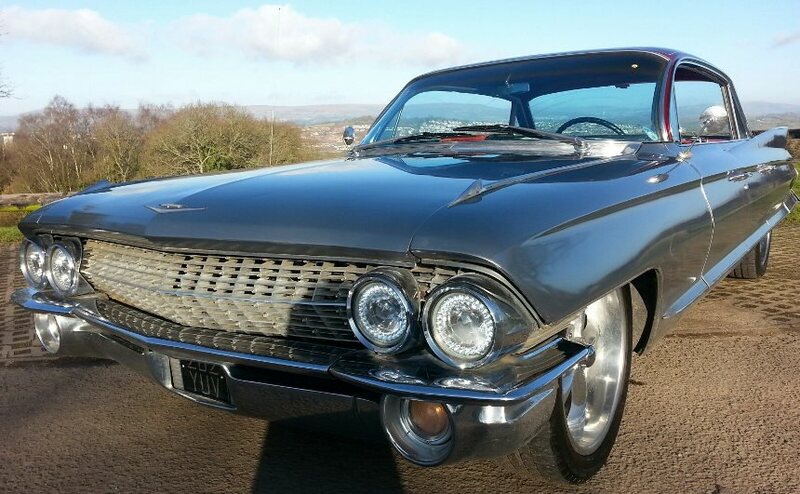 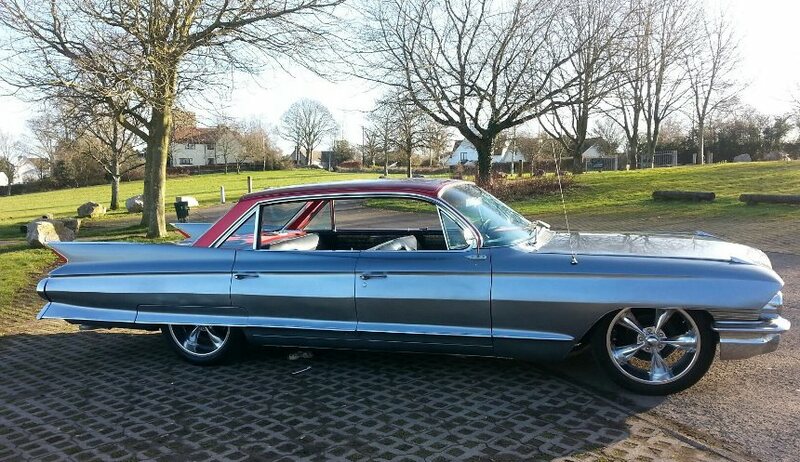 Classic Cadillac wedding car for hire in South Wales. 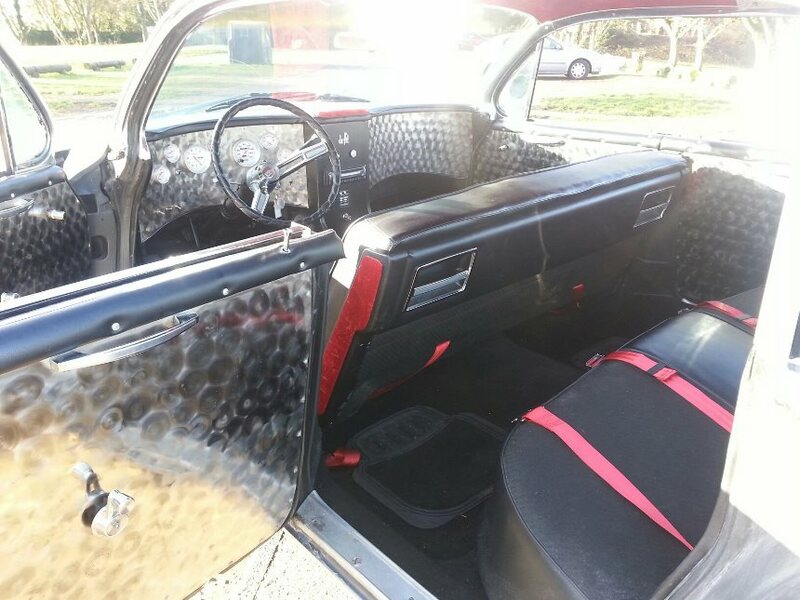 A 1961 Cadillac Deville in Metallic Silver with Red laced custom roof, Black and Red upholstery and stainless steel dash and door panels. 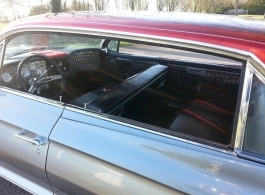 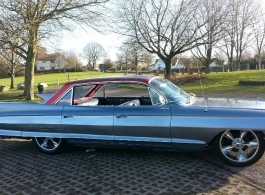 This unique American car would be a great car to bring the bride and her father to the wedding venue and for bride and groom to head of to the reception afterwards. 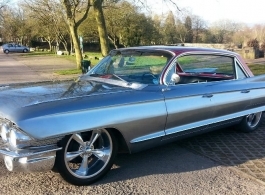 If there is no reception journey then the Cadillac would be great to have in your wedding day photos after the ceremony.